You are here: Home / Mentoring / Book & Online Resource Reviews / Come Weary Saints Review, Free Download, & Giveaway! Come Weary Saints Review, Free Download, & Giveaway! How’s that for a CD description? 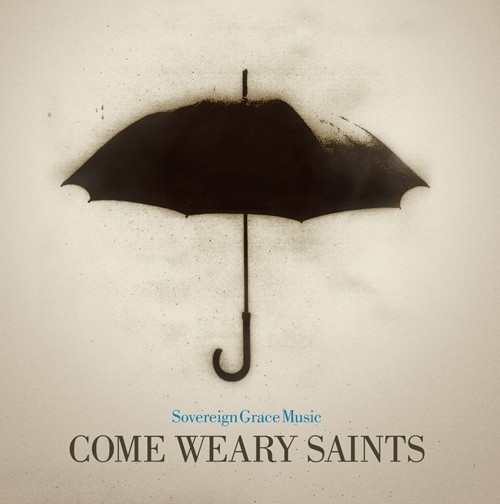 When Integrity Music asked me to preview Sovereign Grace’s new Come Weary Saints project, I was expecting a nice little worship CD in the same vein as dozens of others on the market. You know the kind–nice–but every song sounds like the last. What you’ll find on Come Weary Saints is quite different, songs written to encourage those going through life’s trials and prepare those about to enter a valley season. Come Weary Saints is an invitation to redirect your focus to the God whose love has been forever demonstrated at the cross of Calvary. When you think about it, believers are in one of three places: walking into a valley, in the valley, or coming out of a valley. During the valley times when we’re staring up at the ceiling because the rug of life has been ripped out from under our feet, our focus must be solely on Jesus. It’s hard to find songs of worship that address the difficulties in life and yet glorify God. Powerful lyrics coupled with intimate music on Come Weary Saints remind us He alone is good, faithful, and Sovereign–no matter what our day brings. Come Weary Saints confronts head-on our brokenness, great need, and desire to worship our Redeemer in the midst of life’s greatest challenges. Come Weary Saints has thirteen songs focused entirely on worshipping Jesus through the trials and suffering in life. My pastor says to take whatever problem we have and double, triple, quadruple it–God is still bigger. Come Weary Saints reminds listeners of this powerful truth. It’s a CD you’ll find yourself listening to over and over again–and passing along to friends in need of encouragement. There are few worship CDs I call favorites, but Come Weary Saints earned the title. Not since Hillsong’s Shout to the Lord or Desperation Band’s Counting on God (another CD born of difficult times) have I listened to a project that brings such an intense desire to fall on my face and worship. In the end that’s what it’s all about–worshipping Jesus. Integrity Music has graciously offered MMCW readers a free download from Come Weary Saints entitled Glorious. It is available for you to download from our site here for the next seven days. Enjoy! In addition, Integrity will be giving away FIVE Come Weary Saints CDs to you our listeners! Simply comment on this post with anything you would like to say. On Saturday, April 17th I will choose five winners using Random.org and announce the winners. Winners will have three business days to email me back with their mailing address. CDs will be shipped directly from Integrity Music. Let your family and friends know about the free download and giveaway! Come Weary Saints is an invitation to redirect your focus to the God whose love has been forever demonstrated at the cross of Calvary. As you listen to these songs, may your faith and joy in the Savior be strengthened for the challenges you face, now or in the future. There’s a picture a took in my room that describes my days since 2005,2 years after my Mom died. That is,Me against a wall with a half mirror on my left above my shoulder,and on my face the light is half dark.It’s exactly how I feel!The light is God,and the darkness is there,trying endlessly to overtake me completely. I’m a winner in Jesus!Fighting till the end. and singing I go–because He lives …you know that hymn? May Jesus bless you too. While reading this post I immediately thought of my friends whose 11 year old daughter was diagnosed with cancer in February. Tho’ prayers are being lifted for little Hannah, I pray especially for my friends who have to watch their daughter fight this battle. I pray God’s peace over their family and also that He would give me and my husband words of encouragement for our friends as they endure this valley. Love your articles! Praises for your site! I just finished reading 1 Samuel 12 for my devotions. The Lord used verse 7 to give me hope for today. It says to stand quiet before the Lord as I am reminded of all the great things the Lord has done for me and my ancestors. I was just recently diagnosed with breast cancer, and daily I run to the Lord for His comfort and hope. I desire and prayers are keep giving Him praise during this valley, and He will use it to glorify Himself. I am grateful for your posting about the “Come Weary Saints”CD. I listened to the free download of “Glorious” and loved it! I am sure the whole CD is uplifting. My birthday is April 17th, and I know the Lord has many more years planned for me! Hearing about this CD is exciting, and I know it will bless many saints who are facing the tough times of life. I will be lifting you up in prayer and put you on my church prayer list too. 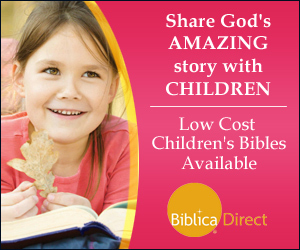 God is able to do abundantly more than we can even imagine. I pray that He will give you increased comfort, hope,and joy today. .-= Kellie´s last blog ..Ipad vs. Opad =-. Come Weary Saints sounds like a winner. I’m anxious to hear it! What a blessing! Thank you for the download of Glorious. And He is, isn’t He? Although at times it is difficult to praise God while in the valley, however, ‘Glorious’ is a beautiful song to be swept away in the gentle reminder of Who really is in the details our lives 🙂 Thank you for allowing us to listen!! I love this!! It is so refreshing to hear some new worship music. Thanks so much! Always love a good worship CD!! This sounds like a wonderful CD! Thanks for the free download. Thanks so much for the free song. It could not have come at a better time. Isn’t His timing always just right?! He is Glorious! Thank you for offering the “Glorious” download and for introducing me to the “Come Weary Saints” CD. The description was so engaging that I eagerly listened to the selection. Truth is certainly proclaimed as the singer declares that “He is Glorious.” Musically, I think my soul was thirsty for something more soothing and calm. Perhaps the other 12 songs will offer the balm this weary saint desires. I hope that I win so I can find out! Click on the music video, O the Deep, Deep Love in the sidebar of the website. Deep, Deep Love is also on the CD. The CD has a wonderful mixture of both styles. I’ve enjoyed hearing “Oh the Deep, Deep Love of Jesus” over and over again. It truly is all I need and trust! His love is soooooooooooo deep, and nothing else satisfies. So glad to know this song is on this CD, as well as the free download. I’m enjoying it too. Thank you for doing these 5 giveaways! I’ll let others know about it too. Thanks for the free download. 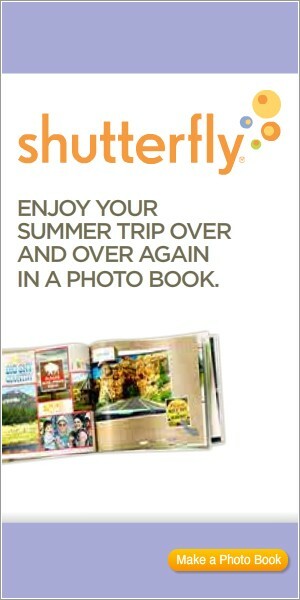 I will be recommending the CD to my family and friends. I have just started reading on this website and I love these daily devotions. Would like everyone to please put me on your prayer list…I will be having major surgery at the end of this month. I have put it off for three months now and symptoms have gotten worse and I know it is time. Thanks to all. God bless each and every one on here. I will be so happy to pray for you, a prayer for successful surgery, a speedy recovery and a peaceful and stress-free heart for you. .-= Jan Nellis´s last blog ..Love Sauce =-. I will be praying for you and your upcoming surgery–will also add you to our prayer list at church. I really enjoyed the sample song and would love to win a copy of the CD. Thanks for sharing this giveaway. I would enjoy listening to the whole CD. Thank you so much for the free download and the opportunity to win the whole CD!! I also loved listening to the song “Oh the Deep, Deep love of Jesus!” These songs were a great start to my morning!! Reminds me of Kathy Troccoli’s WORSHIP —- I love the simple WORSHIP of that CD and look forward to hearing this one!!! Thank you so much for sharing this song. Along with the scattered joys, it seems we and so many of our friends have faced many challenges since January. The death of a much-loved aunt in March has given us the opportunity to experience the joy of knowing she is with the Lord but has left us missing her. Her husband is facing his fifth round of surgery for cancer soon. There have been days of weariness but we have seen once again that our heavenly Father walks with us and strengthens us in each valley. I am so glad that the verse of renewing our strength and rising on eagles wings also includes walking and not growing weary. There are times when even saints find we can only just keep taking one step after the other trusting the Lord as we go to carry us forward on our journey with Him. I thank you for letting us know about this music speaking to the weary times in our lives and helping us focus on the staying power in the Lord. Mentoring for Women has become one of my two favorite sites and devotions. Thank you!! Would love a new CD! The Lord uses music to draw me closer to Him. Woudl love to hear this new CD from Sovereign Grace. I would like to be entered for the give away! .-= renita´s last blog ..Forget Me Not Blog Tour Review and GIVEAWAY =-. Thank you for the free download. I really enjoyed the song. I would love to hear the rest of the CD. Sovereign Grace Ministries has consistently come out with life-altering, God-honouring music for years. I can’t wait to be blessed by this one! I would love to enter the give away! I love Sovereign Grace’s music and would love to win the CDs. I have begun to play worship music in my house every morning as the children are getting ready for school and then even throughout the rest of the day. It has become such a mood changer (even for me) and our attitudes for each other are softened beyond what I had expected. This would be a great addition to our mornings!